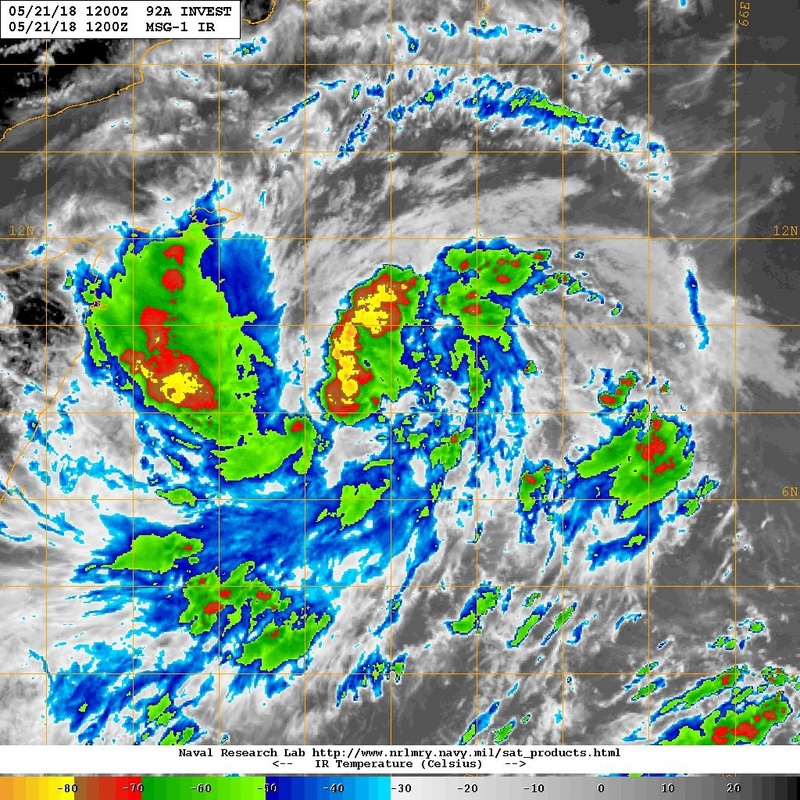 The Well Marked Low Pressure area over Southeast and adjoining Southeast Arabian Sea now lies over Southwest Arabian Sea with the associated Upper Air Cyclonic Circulation extending up to Mid-tropospheric levels. It is very likely to concentrate into a Depression during next 24 hours and further into a Cyclonic Storm during the subsequent 48 hours. It is very likely to move Northwestwards towards South Oman/Southeast Yemen coasts during next 5 days. 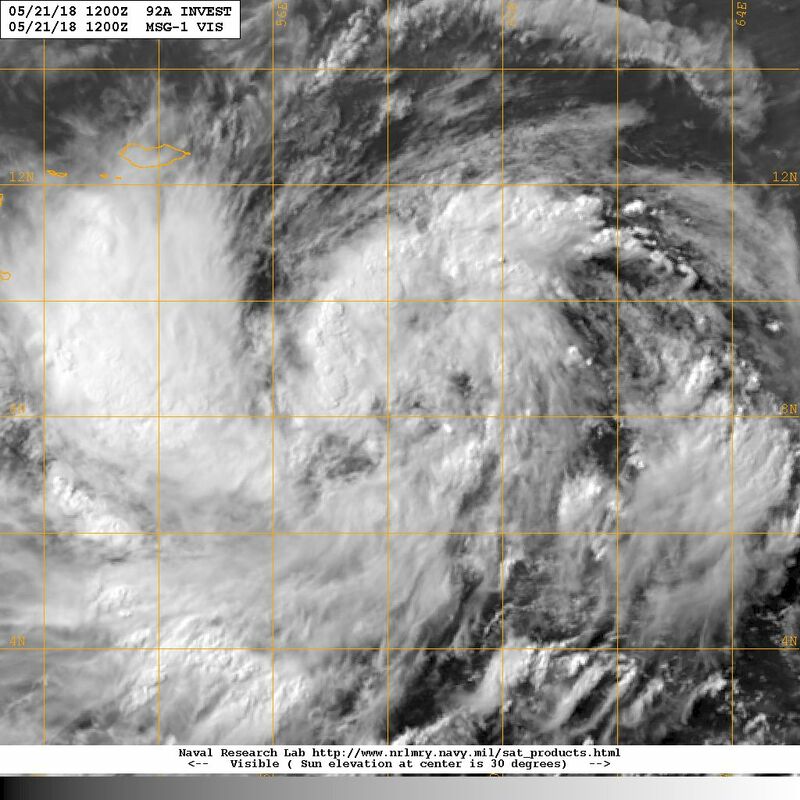 As per NRL: 92A.INVEST over the South West Arabian Sea is located at 8.3°N & 58.2°E with 30 knots & 1002 mb. on 21st May 2018 @ 1200 UTC. દક્ષિણ પૂર્વ અરબી સમુદ્ર નું લો પ્રેસર હાલ દક્ષિણ પશ્ચિમ અરબી સમુદ્ર માં છે અને મજબૂત બની વેલમાર્કડ લો પ્રેસર થયું છે. જે આજે રાત્રી સુધી માં ડિપ્રેસન માં પરિવર્તિત થશે અને ત્યાર બાદ તારીખ 23 સુધીમાં વધુ મજબૂત બની વાવાઝોડા માં પરિવર્તિત થશે. હાલ ની ECMWF ફોરકાસ્ટ ટ્રેક યમન/ઓમાન તરફ છે તો GFS મોડલ માં ફોરકાસ્ટ ટ્રેક વધુ ઉત્તર એટલે ઓમાન તરફ બતાવે છે. 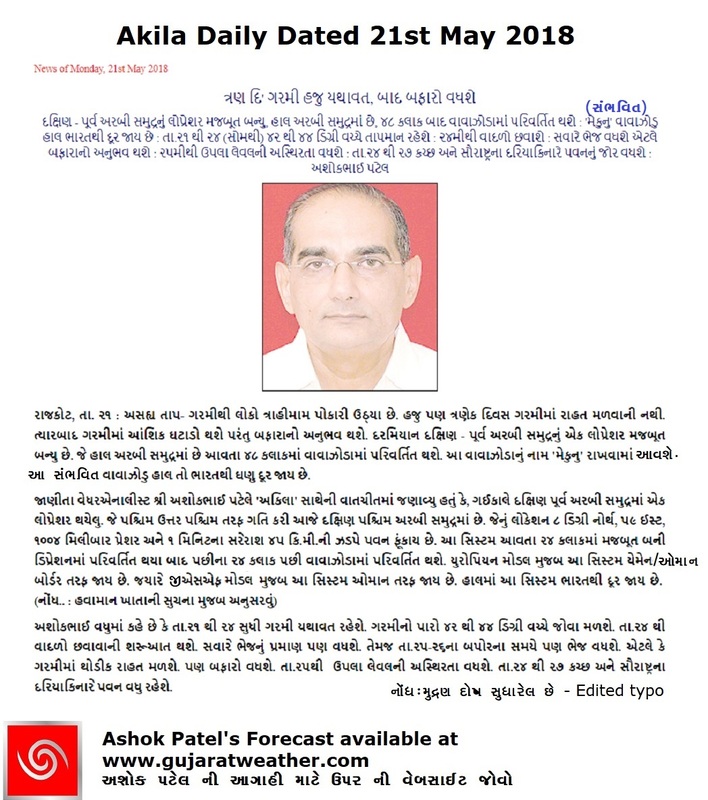 આવતા 24 કલાક માં વધુ અંદાજ આવશે. Note: The Well Marked Low Pressure is located over South West Arabian Sea and is expected to concentrate into a Depression by night of 21st May and to a Cyclonic Storm by 23rd May. There is a differing outcome for the System track between most global models with ECMWF outcome. GFS takes it towards Oman while ECMWF takes it towards Yemen/Oman border areas. Clarity in forecast outcome is expected in 24 hour.